Ben Urbelis is a highly skilled attorney who has been trying both jury and jury-waived cases in the Massachusetts courts for eight years. While he was a law student, Ben worked as a student- prosecutor with the Norfolk County District Attorney’s Office. He eventually tried several cases as a lead prosecutor for the Commonwealth of Massachusetts and won 80% of his jury trials prior to even passing the bar exam, against much more seasoned attorneys. Even with his hectic schedule of prosecutor-by-day, law student-by-night, and studying for the bar exam (which he passed on the first attempt), Ben managed to bartend on the weekends in order to help pay for law school. After his time with the Norfolk County District Attorney’s Office, Ben decided to become a defense attorney, using his experience as a prosecutor to fully understand how both sides of the Massachusetts criminal justice system operate. He worked exclusively on drunk driving cases during his first year with a small criminal defense firm, winning every case he took to trial. In December 2009, Ben established The Urbelis Law, and has not looked back. He enjoys helping people get their lives back after facing the anxiety and uncertainty of a criminal charge. He understands how to handle the different challenges presented in each case, due largely to the variety of cases he handled as a prosecutor and continues to handle today. His success and reputation as a zealous advocate has earned him the respect and confidence of his legal peers, many of whom regularly refer their criminal matters to Urbelis Law. Ben has earned a variety of trial advocacy award, including "Top 100 Trial Lawyer" by National Trial Lawyers, "Top One Percent" by National Association of Distinguished Counsel, "Top 100" by American Academy of Trial Attorneys, and a "Rising Star" by Super Lawyers' Magazine. Ben has achieved "Not Guilty" verdicts in 90% of the cases he has taken to trial as a defense attorney. 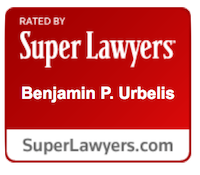 Most recently, 289 Boston area law firms specializing in DUI defense were analyzed and Attorney Urbelis was selected to the list of "Top 20 Boston DUI Lawyers." Ben has been interviewed by the press on matters of criminal law, and his articles have been published in legal periodicals such as Massachusetts Lawyers Weekly. In addition to his legal practice, Ben is actively involved in the community. He especially enjoys working with youth organizations and providing guidance for anyone who may be considering a career in the field of law. Ben is frequently invited to speak at middle schools and high schools to discuss his practice and the criminal justice system. He also currently holds the position of attorney-coach for Central Catholic High School's mock trial team, where is is also on the school's Alumni Board of Advisors. Ben is a member of the Massachusetts Bar Association, the American Bar Association, Massachusetts Association of Criminal Defense Lawyers, and the National Association of Criminal Defense Lawyers. 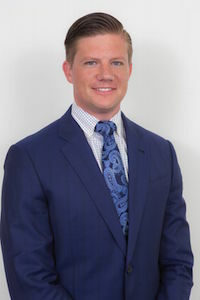 Ben holds a Juris Doctor from Suffolk University Law School and a Bachelor of Science in Business Management from The University of Connecticut.